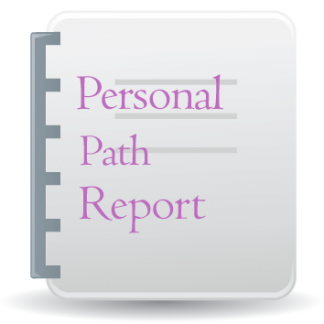 Your Life Path is an insightful report that gets to the heart of the natal chart. This report offers a unique blending of the psychological, spiritual, and material plane potentials found in the birth chart. Your Life Path explores the signs, house positions, and aspects of the planets as well as the Ascendant and Midheaven. The Nodes of the Moon, retrograde planets, and elemental emphasis are also interpreted, making this a well-rounded report. Included is a special section devoted to house rulerships (example, Ruler of the 5th house in the 12th house), which add yet another level of understanding to the overall picture. This is an excellent computerized report that runs approximately 18 pages long. Because interpretations get right to the point, the report is neither too lengthy to be cumbersome nor too short to leave you scratching your head! To order, please fill out the following information fields before adding to cart. Please also see the full description of the report plus the report sample below before ordering. An initial, nickname, or first name only works fine. Month/Day/Year format or spell out the month (example, March rather than 03 for clarity). 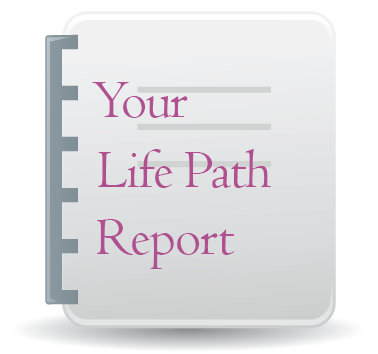 Your Life Path is an insightful report that gets to the heart of the natal chart. This computer-generated report offers a unique blending of the psychological, spiritual, and material plane potentials found in the birth chart. Your Life Path explores the signs, house positions, and aspects of the planets as well as the Ascendant and Midheaven. The Nodes of the Moon, retrograde planets, and elemental emphasis are also interpreted, making this a well-rounded report. Included is a special section devoted to house rulerships (example, Ruler of the 5th house in the 12th house), which add yet another level of understanding to the overall picture. This is an excellent computerized report that runs approximately 18 pages long. Because interpretations get right to the point, the report is neither so lengthy to be cumbersome nor too short to leave you scratching your head! Pay with your credit card or debit card: We accept payments through PayPal. This safe and secure service allows our readers to pay instantly online using their credit cards, debit cards, or e-checks. 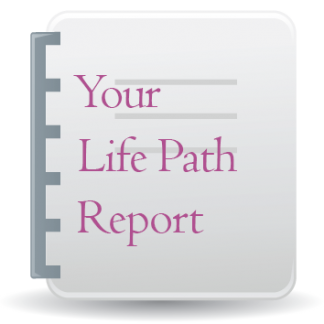 #LP $4.95 US Your Life Path computerized report delivered through email typically within 24 hours of receipt of payment AND full information required. To order, enter your name (this can be your first name only, nickname, or initial if desired), birth date (month, day, and year), birth time (example, 7:21 PM – do not adjust for time zones), and birth place (city, state/province or country). Most people are familiar with their Sun sign based on the month and day of birth. The Sun sign answers the question, “What’s your sign?” It is the reference point that is employed when we read newspaper and magazine horoscopes. But what about the nine other heavenly bodies that make their influence felt in our lives? These planets were also in a particular sign of the zodiac when you were born. Here is where Astrology really begins to come alive for each individual. This report will take you on a revealing journey as you travel through each interpretation based on your unique month, day, and year of birth. If your birth time was included, then the Rising sign will add yet another dimension to your personal horoscope interpretation. If it is not included because you don’t have an accurate time of birth, there is still much useful and insightful personal information that can be gleaned from your report. This report takes into account the various spiritual and psychological implications, as well as the material plane potentials which are part of your individual life plan. In this case the word potential is used because you have been given a certain amount of free will and the life choices that you make will determine to a large extent the level at which these cosmic energies actually play themselves out. Use this report to find confirmation for what you already feel intuitively and to unlock the door for new life possibilities that you may not have yet considered. 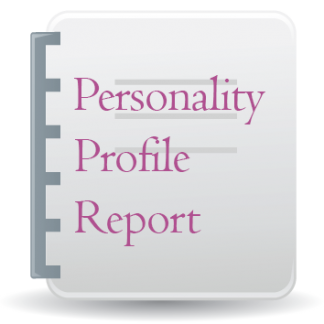 This is where the strength and real value of your personal Astrological report can be found. The precise time on the day of your birth determines your particular Ascendant, also known as your Rising Sign. This was the zodiac sign that was rising over the horizon when you were born. In addition to your Sun and Moon Sign, the Rising Sign reveals very important traits that make up a major part of your personality and your individual approach to life. This is usually the impression you like to make before you really get to know someone; it is your outer personality and image. There is a distinct part of your outer personality that expresses itself very much like a Cancer. You are emotional, personable and intuitive. Since this was the sign of the zodiac that was rising over the horizon at your time of birth, the principle of Cancer–your personal security foundation–will be integrated into almost every area of life in some way. The Moon is your chart ruler. To discover even more about what’s a priority for you, and also the first impression you make on others, read everything in the chapter on the Moon. You are a naturally attractive person and other people find it easy to relate to you. The image you project is very important to you and you will usually invest whatever time and effort you feel necessary on grooming, the right clothes, etc. You do this because you may feel more than just a hint of chronic dissatisfaction with yourself. Even at your absolute best, you still feel as though there’s room for improvement. You’re anything but a stick-in-the-mud. You march to the beat of a different drummer and you’re something of a rebel. You crave excitement and when life gets too predictable (i.e., boring) you know how to stir things up again. You’ll often speak your mind regardless of the effect pro or con, that it has on other people. As a result, you attract other strong personalities who can handle your sometimes volatile personality and not be offended. The placement of the Sun in your chart will show you how (the sign) and in which area of life (the house) tremendous potential exists for you. Here is where you want to be successful. The Sun cannot be ignored. We must meet and deal with the area of life that the Sun shines on in our chart in order find ultimate fulfillment. Everything revolves around the Sun. When you master whatever issues the Sun points to, then other areas of life will proceed in a more balanced and satisfactory manner. The Sun also represents: your own will, major goals, the father, men in your life, children, creativity, and the real inner you. Clever, social, and communicative, your general approach to life is light hearted. You can be somewhat hard to pin down because you have a wonderful natural curiosity about life. You prefer to know at least a little bit about everything. The restless nature of Gemini is quite conducive to your preference for a wide variety of experiences and mental pursuits. Geminis often won’t take a particular subject into great depth, but for you, just having a taste of the smorgasbord that life offers is enough to satisfy. This is the sign of communication in all of its various forms, whether verbal, written, or just learning for the joy of it. You like sharing what you have learned with others, and the latest news and even gossip has a hard time sneaking by you. Because of your storehouse of bits of information, you find it easy to understand different viewpoints, and you prefer to agree with someone rather than create conflict. Taking life too seriously is not appealing to you. “Lighten up” could be your motto and other people sense this, which generally makes you easy to be around and therefore in demand socially. Your personal fulfillment is reinforced by expressing your uniqueness. Chances are you will find yourself having to work cooperatively within the framework of a group of people. The life challenge here is to work cooperatively while maintaining a certain amount of your own autonomy. You may have to make a choice about leaving the confines of a particular group and striking out on your own at some point. You must rely on your intuition when dealing with certain associates, as this placement of the Sun can make you vulnerable to being taken advantage of by those who don’t really have your best interest at heart. On the other hand, influential people may appear who can help you attain your fondest hopes and wishes. There is a side to you that can be unpredictable, rebellious and highly independent. That which is considered to be different, unusual, or in some cases bizarre, appeals to you. You’re often a step ahead of the crowd. Appreciate your own uniqueness. Confident and basically self-assured, you know how to work for and not against, yourself. Your life goals are in sync with your emotional nature. You are basically well balanced and this aspect supports favorable outcomes even during crisis times. Your parents or caregivers were probably quite satisfied with their relationship when you were born. Of course there’s no telling how things eventually played out, but your earliest impression of relationships was most likely a favorable one. Here is the opportunity to draw on willpower backed by action when the need arises. Vitality and physical energy are promoted in a positive manner and your endurance is high when you’re motivated. You know how to compete for your own survival, but you generally don’t go out of your way to challenge others unless you feel it’s really necessary. Your creative urges are stimulated by your imagination. However, the free expression of your will can be challenged by feelings of self doubt, making it necessary for you to avoid allowing yourself the luxury of self condemning thoughts. Stay away from negative modes of escapism (sleeping too much, drugs, etc.). Trust inner voices that alert you to people, places and things that don’t have your best interest at heart. To override this intuition is to invite disappointment and regrets. Observe the difference between true intuition and unrealistic fear. The Moon in your chart represents the past and points to an area of life (the house) where we function out of instinctive awareness. Often we have a deep emotional need to do the things that the Moon’s house placement represents. Whenever insecurities arise and our feelings become involved, we tend to bring the traits (the sign) of our Moon into play. The Moon is like our security blanket. It also represents: the home, females in your life, the mother, nurturing others or being nurtured ourselves, as well as things related to the domestic scene in general. Intense, spontaneous, and often impatient, there is a certain sense of urgency surrounding whatever you undertake. You can display a quick temper, but once your anger has been duly expressed, you rapidly get on with life again. Holding a grudge isn’t especially appealing to you. You can be jealous if you feel threatened and will definitely fight for a cause especially if it pertains to you personally. You need a sense of adventure and a challenge. When your mood and emotions are low, there is nothing like a new project to lift your spirit again. You can be restless, and you’ve probably done more than your share of being on the move. You need to expand your horizons and this is often accomplished through travel, higher education or simply getting away from it all by periodically communing with nature. This placement of the Moon can also indicate residence in a foreign country even if it’s only temporary. Your imagination is expansive and the potential exists to experience prophetic dreams. When you feel emotionally shaky, you tend to imagine the worst and this manifests outwardly as being oversensitive. Usually, you don’t lose your temper without a good reason. Other people can be surprised by the intensity of some of your emotional outbursts. However they usually pass as quickly as they began. Deep down you hate having to surrender to anyone or anything. When you become emotionally involved in a situation, you tend to blow things out of proportion. Once an emotion takes hold, it’s hard for you to show restraint and then you wonder why others find it difficult to get as worked up as you are, or take you as seriously as you’d like. When you’re upset you can get careless and you cope by indulging your whims of the moment. Try not to be so hard on yourself. You’re a whole lot better than you think you are. When you recognize your worth, you can accomplish your goals whatever they may be. Vague feelings of melancholy and pessimism can be defeated by staying actively involved in life and taking some constructive action toward a future goal. You are someone who benefits by making sure that you have planned something each day to look forward to, no matter how small. You are sensitive, empathetic, and impressionable. Your imagination is pronounced. Your perception of the world around you is based on your ability to instinctively pick up the subtle vibrations in the environment that other people seem oblivious to. Many times you are led through life on a kind of invisible radar that puts you in the just the right place at the right time. Mercury is the planet of communication. It tells us about how we think and talk. You can gain insight into your mode of gathering, processing and transmitting information from Mercury’s placement in your chart. Mercury also represents: transportation, the five senses, youth, reading, and writing. Mercury functions well in Gemini. This placement makes you curious and clever with fascinating bits of information about a variety of subjects. You learn easily and you have a never-ending curiosity about life. You love talking about whatever is going on, especially in your immediate environment. Your mind is logical and you possess a quick wit. It’s interesting to note that the sign of the twins (Gemini) is associated with the ability to mimic. It’s easy for you to pick up and copy the accents and nuances of language. You might even be able to do verbal characterizations of other people with ease. Easily bored, somewhat anxious and indecisive at times, the biggest challenge here becomes trying to focus on too many things at one time and thus having your projects sabotaged by a scattered approach. You probably have numerous social contacts and many of your friendships are based on shared ideas rather than purely emotional interests. You have an active mind and the ability to come up with unusual ideas. You can harness the power of your mind to turn your wishes into actuality. Lots of conversations are carried on inside your own head. With Mercury retrograde, you rarely blurt things out without thinking them over first. As a result, you may often find it easier to express yourself in writing. If so inclined, you’d make an excellent writer. Venus is the planet of relating to others, and thus is associated with love, attraction and socializing. In a male’s chart, Venus can provide clues about traits he finds attractive in females. In a female’s chart, it reveals something about how she relates to males. Venus is also the planet of material goodies and sensual delights in all of their various forms. Venus also represents: money, harmonious conditions, pleasurable activities, beauty, and the arts. A natural romantic, you are sentimental, charming and unselfish. This placement either makes you a mothering, nurturing partner, or it may work the other way around and make you long to be nurtured and cared for yourself. Hopefully, a balance can be obtained. Love equals security to you and you may often be imposed upon because others will sense your desire to please and attempt to take advantage of you. You may attract a partner who has some “growing up” to do in some regard. Venus in Cancer people will never really forget a love affair or anyone else with whom there was a strong emotional attachment. The challenge here would be to let go of the past and move on when the time comes. You enjoy your own company and you may have a higher than average desire to retreat from the chaos of the world. Quite often, relationships are sparked by an instant knowing of the other person based on a subconscious past life recognition. You may experience at least one affair of the heart that you choose to keep to yourself. You can be easily hurt and you will sometimes choose to deny your own true feelings, preferring instead to keep them buried where the risk of disappointment or rejection is avoided. Relationships in general often begin suddenly, but they also can end just as abruptly. This aspect brings many unusual associates and alliances, and you are attracted to people who are considered “different” by societal norms. If a relationship turns sour, you can become quite aloof as a way to emotionally cope with disappointments. Financial matters often seem subject to sudden and unexpected circumstances that seem beyond your control. Consider getting a handle on any impulsive spending habits. Develop a routine of sticking some cash away so that sudden financial obligations don’t turn into a major crisis. Mars is our planet of action, energy output, motivation, and instinctive biological drives. It shows how and in which area of life you are willing to put forth a lot of effort. Mars’ energy is quick, impulsive, and survival oriented. In a male’s chart, Mars reveals something about how he relates to females. In a female’s chart, Mars can provide clues about the traits she finds attractive in males. Mars also represents: competitive situations, conflicts, accidents, and sexual energies. With Mars in Aries you are most certainly a survivor in every way. Mars feels very much at home in the sign Aries. You are capable of quick and fearless action when the need arises. You want everything now, and will display a good deal of impatience when it is not immediately forthcoming! You should watch the tendency to be overly aggressive and daring as this placement can make you somewhat accident prone. A high degree of leadership, natural competitiveness, and the ability to put your conscience aside in the name of survival make those with Mars in Aries good candidates for military or athletic careers. You are more than willing to fight for truth, honor and justice. Fairness is important to you and life isn’t always fair. Whatever your philosophy on life is, you will adamantly defend it, but only when you know you’re right. Much of what you believe is based on your own intuitive judgment. You’ll energetically pursue higher education and travel holds great appeal for you. You can be a champion for earth related and environmental issues. You instinctively know how to survive in the wilderness (just in case you wanted to know!). You can be quite impulsive and you may take actions that you later regret because you act first and think later. There is a tendency to be somewhat accident prone. Use caution and develop patience especially when using potentially dangerous machinery. You have a lot of drive which, ideally, you can learn to control and focus on constructive goals. In this case you can get a lot accomplished. Sports can provide an excellent way to channel your natural competitive urges and this aspect can give you the edge in athletic pursuits. You can tap into unseen energies in your environment and that combined with the survival instincts of Mars gives you a very good sense of what is going on around you even if there appears to be no rational explanation for it. An example of this would be feeling like taking an alternate route to work one day and later finding that you avoided a major traffic jam. If you use the highest form of these energies, you will spare no effort when it involves helping someone out. No one can ever accuse you of being wishy-washy or half hearted. Intensity of purpose and fearlessness mark your approach to going after what you want. If you feel threatened, you can be ruthless or even downright cruel. You are extremely goal oriented and if you use this aspect with wisdom, then nothing can stop you from achieving almost anything you wish. Get in touch with and cultivate your compassionate side. Jupiter is the planet of expansion and taking things beyond normal limits. It shows us where the universe allows us to indulge ourselves, and often we find that wherever it is in the chart is where things work out in our favor eventually. Some call this luck. Jupiter also represents: faith, ideas about God, abstract thinking, high ideals, and abundance. Much of your success in life is directly related to your ability to initiate action. Waiting around for life to hand you what you desire is definitely not your style. You don’t waste time sitting around wondering if a particular action will produce results that you may later regret; you just do it. You possess an abundance of energy, assertiveness, and optimism. You are quick to recognize opportunities before they pass you by and you know how to make the most of them. Try not to over extend yourself. Practice thinking twice before you act at least some of the time. Make sure that your generosity is well placed. Your nature is philosophical and intellectual. You probably see God as a beneficial and merciful being. Foreign people, places and things can be fortunate for you. The great outdoors calls to you from time to time and you may even end up living in the country if your desire to get away is strong. Truth, fairness and high ideals go a long way with you. You might get reckless every so often because Jupiter here can be very lucky and it’s easy to feel invincible sometimes. This is an excellent placement for teachers and preachers. Often you feel challenged to find a balance between letting your hair down and otherwise indulging yourself, versus doing what is considered proper and acceptable by traditional standards. Saturn, the planet of restraint, is urging you to create an equilibrium between these urges. Remember that you are being encouraged to find a balance, which doesn’t mean you must eliminate joy, optimism and hope. Trust your intuition and nurture faith and positive thinking. If you find that obstacles to the realization of goals always seem to pop up, then it’s important for you to take an honest inner inventory of what you really believe you deserve. Immerse yourself in all activities that encourage self-esteem and positive thinking. Saturn is our planet of restriction and discipline. It shows us where we may feel inadequate in some way, and thus we take this area of life very seriously because we want to perfect ourselves. Saturn also represents: life lessons to be learned, trials and tests, a strong sense of duty, and bringing ideas into material form. You can be quite ambitious where personal security issues are at stake. Your upbringing might have been marked by a sense of melancholy and perhaps disappointments. Even though your parents cared for you, you may have still felt lonely and insecure. Defensiveness and inhibited emotional responses can create their own self fulfilling prophecies. As an adult you are now free to rewrite the script where your home life is concerned. Should you choose to establish your own family life, you will take the responsibility very seriously. You may have to learn that your own personal space can be a haven where happiness and optimism prevail. Reminder: work on boosting up the importance of your own opinion about yourself rather than holding yourself back because of a need for approval from others, especially your family. Repressed emotions will manifest as stomach problems. Learn some techniques for healthy emotional release. This is a lifetime that will be greatly enriched by helping your fellow man altruistically. Make some time to add a little hope to someone else’s life. You can empathize with others’ feelings of hopelessness and despair because you have either experienced these emotions yourself or you have subconscious memories from past lives to draw on. Develop conviction and learn to ignore inner voices of doubt and pessimism. Whatever you imagine can turn into reality, so you may as well make a pledge to yourself to think only the best. Take a chance on blind optimism. Uranus is a planet of unexpected change and unpredictable events. It tells us something about where we have unusual ideas and how we want to express our own unique individuality. Uranus also represents: rebelliousness, sudden awakenings, invention, progress, genius, anything “New Age,” and humanitarian efforts. Uranus was in the sign of Libra for approximately seven years. This means that you are part of a large group of people who will share many of the same fundamental characteristics such as the ability to be cooperative, diplomatic and fair. This placement of Uranus brings an unusual or progressive approach to marriage and partnerships in general. When you read your individual house placement for Uranus, you will be able to see where these traits will express themselves on a more personal basis. You can be a genius when it comes to being courageous enough to march to the beat of a different drummer. Your upbringing somehow encouraged this approach. Perhaps there were many changes of residence. If you struggled during your childhood because either you or your family circumstances didn’t fit the norm, this can now be utilized to your advantage. The world needs more free thinkers. Your life will not be boring! You can be a real character inside. Few people get this impression right away. You’d rather play the role of conformist until you feel comfortable enough to let your hair down. Then everyone is either shocked or pleasantly surprised depending on whom you hang out with. Neptune is a planet that dissolves hard and fast boundaries. It is where we don’t always see things as they really are, mostly because we would rather view the world through rose-colored glasses. With Neptune, anything becomes a possibility, especially that which we can imagine. Neptune also represents: tuning into other planes of reality, the spiritual dimensions, cosmic consciousness, movies, music, and inspired creativity. Because Neptune stays in the same sign about fourteen years, there are many other people who will experience the same things that this placement brings to varying degrees. Some of these include: the ability to integrate unorthodox spiritual concepts with more traditional viewpoints, an intense attachment to personal freedom and philanthropic leanings based on compassion and idealism. Your house position will show where Neptune affects your life on an individual basis. Any creative pursuits which you undertake can be greatly reinforced with Neptune here. You have a flair for creating drama and glamour. The dating scene and other activities that fall into the “love affair” category are often approached with unrealistic expectations. Later on when reality visits you can end up feeling disillusioned and betrayed. These kinds of situations can be avoided by making sure that you and your intentions are nothing less than accurately represented in the beginning of the relationship. You would do well not to put all of your apples into speculative financial ventures because the outcome may often be not what you imagined. Bigotry and narrow thinking are huge turn offs for you. You lean toward a humanitarian outlook and you see the big picture, whether it applies to you or society as a whole. Mysticism, magic and the occult attract your interest and you can choose to use any knowledge gained to produce positive results. Spirituality can undergo a complete regeneration process, and what went before will be transformed into something that doesn’t even resemble the former. Usually there is a period of total chaos and confusion before order is restored. Anything that is based on deception and pretense will be brought to light and purged accordingly. The effects of this aspect are often generational and the outcome will affect large segments of the society you live in. Ever heard the term “suffer in silence?” Does it apply to you? Ask yourself why you find it so difficult to share your real pain with others. Someone made you feel guilty a long time ago and now a part of you lives as though you’re trying to make up for whatever the original so-called transgression was. You want to heal the whole world. Start with forgiving yourself in no uncertain terms. Unload other people’s shabby misconceptions which have been foisted upon you and find the tranquility you deserve. Pluto is a planet that brings with it transformation. Something about the area of life that it points to will undergo a complete change. Significant lifestyle changes can happen whenever Pluto is involved. Deep, complex issues will be brought to light eventually. It is where conditions can swing from one extreme to the other. It’s all or nothing. Pluto also represents: psychological probing, keeping secrets or bringing them to light, power and control issues, obsessions, healing and purification. Pluto is the slowest moving planet, and thus is recognized as exerting a generational influence as it moves through each zodiac sign. With Pluto in Libra you’re part of the generation that can experience radical changes in the marriage code, the justice system, arts and culture, as well as relations with others both here and abroad. On a personal level, those with Pluto in Libra tend to be adaptable, intellectual, extravagant and concerned with fairness. Read the house placement for Pluto in your chart. It shows you an area of life where this planet has a more personal influence. If other people don’t understand your intensity, don’t make that your problem. This is an intense world. You know how to keep a secret. You know how to dig them out of others too. Some people go through massive changes that are clearly shown in outer circumstances. You go through tremendous inner upheavals followed by rejuvenation on the inside. You are one strong individual. You have depth of character and a lot of class. You’ve earned it. You’re like tempered glass. You might crack, but you won’t shatter. In this section of the report we interpret the following astrological influences: the Moon’s North Node, the MC (the 10th house cusp or Midheaven) and also a preponderance of an astrological element. A “preponderance” occurs when 4 or more planets or the Ascendant is in that element: fire, earth, air, or water. Many people do not have a heavy emphasis of a particular element so not everyone will have an interpretation of an element emphasis. If the individual chart has aspects to the MC, these will reveal certain career options and potentials for your consideration. The North Node is an important pointer along the pathway of life. You’ll have to be willing to stretch yourself and move away from familiar patterns in order to meet the challenge of the North Node. Great rewards will be reaped in the form of personal growth and reaching your potential goals. The North Node sign will suggest an approach to the area of life represented by its house position. Incorporating the following traits into your life will make it easier in the long run to attain goals. The best way to describe this principle is to imagine a bird having to leave its nest for the first time. It is extremely challenging, but it’s the only way to really learn to fly. Broaden your horizons. Go ahead and be blindly optimistic. Your faith in the future can see you through difficult times. Stretch your mental muscles. Take some courses in philosophy. You can develop a talent for understanding abstract concepts. Boring, stagnating jobs or relationships can suffocate your free spirit. You must grow in this lifetime and a certain amount of freedom and adventure is as necessary for you as the air you breathe. The universe is encouraging you to play up the aforementioned traits in these areas of life. Consider the following: get in touch with your own creative urges and honor your heart’s desires. Recognize the importance of acknowledging your own will. You can work well with children in some capacity, whether your own or other people’s children. You can learn a lot by observing the play of children and then finding a way to mirror that in your own life. Give full expression to your capacity to love. Make some time for socializing, the dating scene and partying. Work on feeling comfortable being the center of attention. Explore the stock market and learn all about making some wise financial investments for yourself. Professionally speaking, you’ll have to learn to go with the flow, as your main career may lack stability during the first half of your life. You may be a late bloomer where career is concerned, coming into full potential later in life. You can expect a strong female influence around the question of career. Ideally your career should be one that allows you a certain amount of emotional satisfaction. Real estate, and all options that relate to the domestic scene in general, represent career potentials. Supportive, care taking roles are favored; likewise, those in which there is considerable contact with the public. Lofty ambitions and the desire for recognition spur you onward in the career department. Career choices may include teaching-especially at higher levels, law, spiritual counseling, publishing, or working in the travel industry, as a librarian, or in sports related fields. You can lead people because you have an aura of authority and responsibility that others pick up on and your advice is often sought out by those who need what they perceive to be a reliable source of input. Saturn aspecting your career cusp demands a kind of perfection and those who have it are often successful after deciding to persevere no matter what, through trying times and obstacles. Suitable career options may include: politician, government worker, manager, accountant, corporate executive, construction and building worker, chiropractor, doctor, or dentist. Wherever precision combines with form, or reliable leadership qualities can be brought into play, you have a career possibility. Energetic and aggressive, in this lifetime you will learn all about inspiration, faith, and living in the moment. Your intuition is highly developed and it’s not unusual for “fiery” people to see visions. Sports and athletic events are an excellent way for you to fill your need for a challenge while satisfying your inner competitive drive. Logical and analytical, you will learn all about using the powers of the mind. You respect mental accomplishment in yourself and others, and you may end up being considered an intellectual by your peers. If something doesn’t make sense, you find it well nigh impossible to throw yourself wholeheartedly into it. Emotional content carries little weight in your important decision making processes. This chapter deals with an Astrological technique known as House Rulers. The “houses” of the horoscope deal primarily with your earth plane experiences. As such, the tone of these interpretations may appear to be more “predictive” in nature. Not all statements will apply absolutely to your experience. Here we are exploring some of the various options that may exist in your chart based on the links between these twelve major areas of life, the Houses of the Horoscope. You have a strong interest in broadening your mental experiences, perhaps through higher education, exploring different philosophies of life, or even through developing your own ideas about what makes the universe tick. Be ready to do some long distance traveling during your life. It’s in the stars. You may be someone who chooses to put some of your own money into supporting a humanitarian cause, or some other kind of organization representing a cause that you feel strongly about. There’s a part of you that values efforts dedicated to creating changes which have global influence. The money you earn yourself will assist in the manifestation of your fondest hopes and wishes. Open up a “dream come true” account for yourself. Your sense of self worth is supported by the love you receive from others. Do yourself a favor and hang out with those who assist rather than detract from your causes. Wishes can come true when the self worth is strong enough to open the door for them. This indicates that you may think quite a bit about changing the world through humanitarian or other group efforts. You have many ideas about how to manifest your fondest hopes and wishes. Your thinking may be a bit radical, ahead of the times or unusual in some way. You may have a lot of communication with friends, acquaintances and groups of people. There may have been unclear circumstances surrounding your mother or other close family members-perhaps mentally creating an idealized version of your childhood circumstances. You could be a very private person and you feel emotionally secure even when you are alone. This can also mean that you’ll become more spiritually oriented during the second half of life, perhaps putting more emphasis on developing that side of yourself. Your children are often on your mind and they might even influence your ideas. Children in general are willing to listen to you. You may enjoy the teaching field. The work you do may be related to teaching at a higher level or it could be involved with the publishing or advertising fields. It may require a good deal of travel or it may be that you simply work outside versus sitting in a traditional office job. Or, your work may actually be related to your religious/spiritual ideals. If you own pets, you may prefer large ones to small ones. With regards to marriage and other close partnerships, you could find yourself playing a supportive role from behind-the-scenes in some way. Your partner may have past life issues to finish up with you this time around. At some point, you may involve yourself in a partnership that has a hidden quality about it, or you could become involved with someone who is not free in the usual sense. Other people’s money may come your way towards the second half of your life or you can inherit some real estate. A partner’s resources could have an impact on your home or the place where you live. Your attitude towards expressing deep intimacy with another person was strongly influenced by your upbringing. It might be important for you to teach your children, or even children in general, your philosophies on life. You believe in the power of giving love. Travel, or some kind of participation in sports represents a form of recreation for you. Your personal beliefs are expressed through your creative abilities. Your career could require long distance travel or even travel overseas. You can teach what you have already been successful at. In other words you could teach others your career. You may have a strong sense of duty towards religious principles or a spiritual path of some kind. Perhaps you want to be responsible for your own higher education and/or developing your own belief system. You may prefer to keep your fondest hopes and wishes to yourself. Some of your friends and acquaintances may be people you knew in a past life. Or, there may be a hidden element to those relationships. Illusion could also play a part. You could have a desire to serve humankind altruistically or help other people in a behind-the-scenes capacity. This astrological influence can also denote a relationship to secret organizations. Your unusual ideas can lead to your own undoing. This possibility can manifest as a result of extremely radical approaches. Diplomacy and the inclusion of others can only help your causes. There could be a strong past life connection with your friends. You could also have a kind of predestined involvement with certain organizations and large groups of people. You may feel a desire to help others through humanitarian efforts and organizations. You may experience confusion about your friends. Radical behavior that stems from rebelliousness simply for the sake of upsetting other people’s applecarts can work against you eventually. Look for the common ground between yourself and others. Humans all have certain fundamental goals that are similar, the only real difference is the paths taken to achieve them. WHAT IF MY ORDER DOESN’T ARRIVE WITHIN 24 HOURS? Reports are generally delivered within 24 hours of order placement, or if there were missing details, within 24 hours of the receipt of full information needed to generate the report(s). Occasionally, an order might arrive a little late if there was an unexpected influx of orders, for example, a power outage, etc. However, if 24 hours have passed and you don’t find an email from Kristen – Cafe Astrology (reports @cafeastrology.com) in your inbox or spam folder, then please write and let Kristen know. Please understand that we make every effort to send your order, and if this is impossible, you will receive a refund. Some people have problems with email delivery, particularly with emails that have attachments. In these cases, we can put the report(s) in a secure place online for download. If you prefer this method regardless, write Kristen an email with the request or add the request in the notes with your order placement. HOW WILL I RECEIVE MY REPORT IF I WASN’T ASKED FOR MY EMAIL ADDRESS? By default, Kristen sends report orders to the email address associated with Paypal. That’s the email that comes in with your payment and order details. You can specify another email address if you’d like, but keep in mind that a Paypal receipt email is automatically sent to the customer as soon as payment is made, and that email will go to the email address registered with Paypal. SHOULD I USE 12 PM FOR AN UNKNOWN BIRTH TIME? No, you should specify that the birth time is unknown rather than guess it so that the report can be created specifically for unknown birth times. Although unknown birth time reports can be a little shorter than the reports with known birth times, they only include information that is known. Most importantly, the ambiguous information is excluded from the report. Some people feel that they will get more for their money if they guess at the birth time, as they assume that more interpretations in the reports are better. However, it’s much better to have a shorter report with accurate interpretations than a longer report with a mix of accurate and inaccurate interpretations! In this case, less is definitely more. CAN I ORDER A SOLAR RETURN (OR OTHER FORECAST REPORT) FOR A YEAR IN THE FUTURE/PAST? Yes, absolutely. 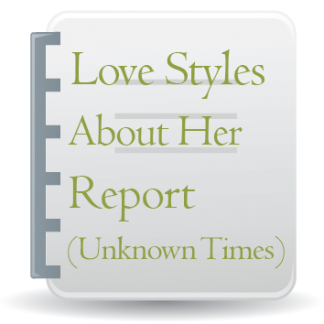 The start date of a report can be any date in the past or the future. In the case of a Solar Return, the start date will be on or in the two days surrounding the birth month and day due to the nature of this type of forecasting technique, but the year of the report can be any year in the future or past. In the case of the Time Line report, the software only allows the start date to be the first of any given month, for example, May 1st, 2017. DO I NEED TO PAY WITH A PAYPAL BALANCE TO PLACE AN ORDER? No, the shopping cart used on the site is run by Paypal, but all the usual payment options are included so that you can use credit cards, debit cards, and the like. There are different shopping cart technologies available to sellers, and Cafe Astrology has selected the Paypal shopping cart as its solution. All payment details are sent to Paypal and not to Cafe Astrology. Paypal sends Cafe Astrology an email with each order that lists the order details and email address, not any payment information. We are not set up as a merchant at this time. WHY ARE THE PLANETS’ TRANSITS OF THE HOUSES IN MY REPORT NOT THE SAME AS THOSE OF YOUR HOROSCOPES? Reports are based on your birth time, while horoscopes are based on solar charts. A solar chart places the Sun’s sign on the Ascendant, and most people don’t have the same Sun and Ascendant in their natal charts. While a solar chart is a valid chart and certainly has its merits, the natal chart should be the first you look at. WHICH HOUSE SYSTEM DO YOU USE? For reports, the default house system used is Placidus. However, you can request another house system for your order (example, Koch, Equal, Whole Sign, etc.). WHY DO MY RESULTS DIFFER FROM THOSE FROM OTHER SOURCES? It’s important to note that there are many different valid methods for arriving at various astrology calculations, including the Zodiac (Sidereal or Tropical), system of houses used, method of progressing the houses in the case of progressions, use of current or birth location for certain forecasting techniques, and many more. It’s rare that an astrology software program is making wrong calculations. Typically, discrepancies have to do with different systems and not about one or the other being “wrong.” When the Ascendant differs, it’s usually about an ambiguous time zone since we must use the time zone that was in effect at the time of birth and historical time zone information is not perfect. It is simply not true that any one particular software program has every historical time zone correct, although many efforts are made to get them right. If you receive unexpected results, please send an email to Kristen who can look into the matter and explain the reasons for it, such as an ambiguous time zone or a particular calculation method. It’s important to provide as many details as possible. WHY IS THE DATE OF MY SOLAR RETURN NOT THE SAME AS MY BIRTHDAY? The Solar Return chart is drawn for the date and time of the return of the Sun to its exact position at birth, and not to the birthday itself. The Sun returns to its birth position once a year on or near the day of birth, and rarely coincides with the time of birth. For example, if my birthday is September 2nd, 1970 @ 5:00 PM, my Solar Return could be September 1st, 2016, @ 4:24 AM one year, September 2nd, 2017, @ 1:22 AM the next, and so forth. If the birth data is entered correctly on the report, you can expect the Solar Return date and time to be accurate. HOW CAN I GET MY REPORT ORDER QUICKLY? Report orders are promised within approximately 24 hours from the time of order placement and complete information required to create the report. Kristen sends out reports by email and she is at the report computer typically eight hours a day. Because orders and responses come in from all around the world at all hours of the day and night, rush orders are not possible. However, to prevent delays, making certain that you’ve included all information requested and that it’s accurate will prevent the need for email back and forths that will cause delays. Typically orders are emailed out within 12 hours or so, but they do sometimes come closer to 24 hours. The most common reason is a sudden influx of orders. There are times when more than the usual number of orders come in and it takes much longer to complete orders. WHEN DO I RECEIVE MY REPORT? Within 24 hours of order placement, you should receive an email from Kristen, either as a request for further information or clarification if there is missing/unclear information or with a report attachment. If the information is incomplete, Kristen will request it from you and you will receive your order within 24 hours of receipt of the full information necessary to create your report. DO I HAVE TO ENTER MY BIRTH DATA FOR EACH REPORT THAT I WANT TO ORDER? If you are buying more than one report in one order, you can enter birth information only once if you prefer. However, it’s important to note that some reports require different or additional information, so be sure to supply all that is needed to create your reports. You are currently viewing Cafe Astrology's store. We have decided to separate the store from the main site as per the request of many customers! To go back to the main site with its many articles as well as free reports and resources, click here. Why do we offer reports at low prices? We offer computerized astrology reports at low prices because we want them to be accessible to our readers. Also, we are not set up to deliver reports instantly online. We manually process the reports and send the reports via email attachments. As such, buyers will wait a little longer (up to 24 hours), but they pay comparatively less for quality reports. The Reports FAQ can be found in a tab on each product page. Before ordering, please read the description and view the sample report. See the Birth Chart Calculator if you simply want to know the planetary and point positions in your chart.